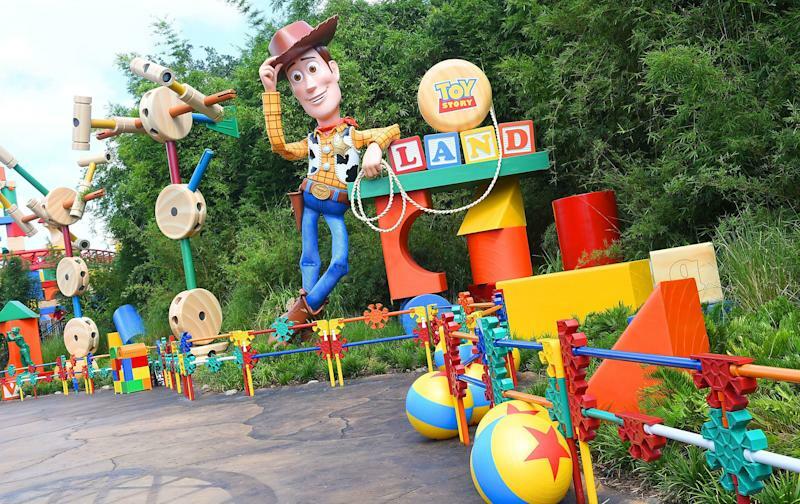 On Saturday, the long-awaited Toy Story Land will officially open atWalt Disney Worldin Orlando, Florida. 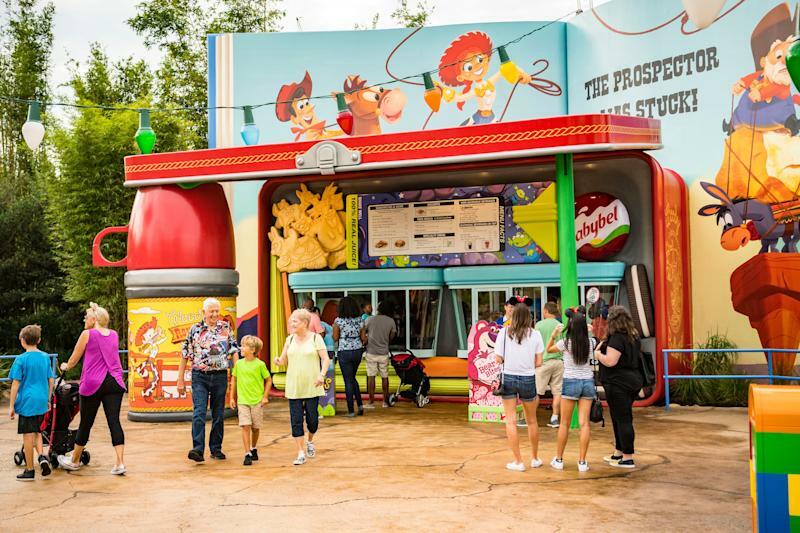 The toy-filled area is stationed in Hollywood Studios and features beloved characters from the “Toy Story” franchise, along with everyday objects made larger than life to give you a real toy’s (and kid’s) point of view. 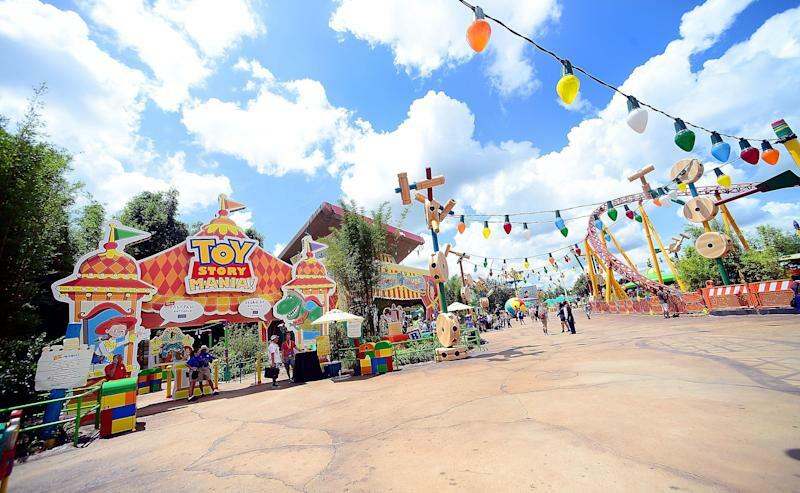 From a roller-coaster ride named afterSlinky Dogto a food area based on a lunch box, here’s what you can expect atToy Story Land. 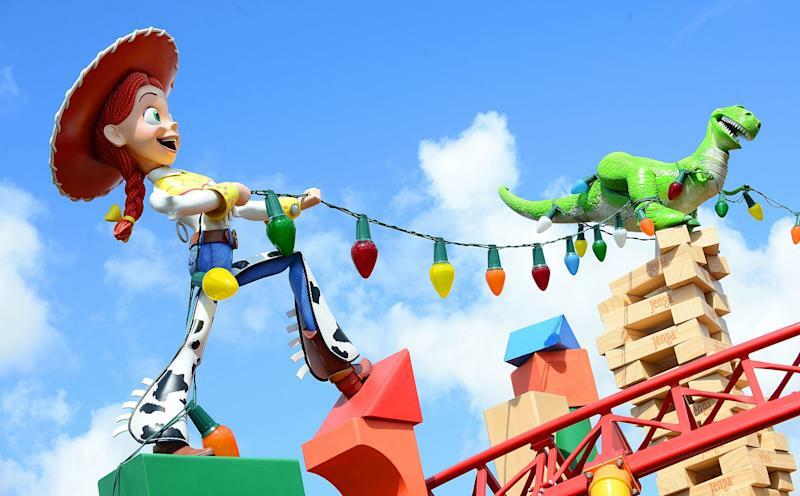 Woody welcomes fans to Toy Story Land, which is full of details from the movies. For example, the yellow ball with a blue stripe and red star is a classic staple of "Toy Story" and Pixar. 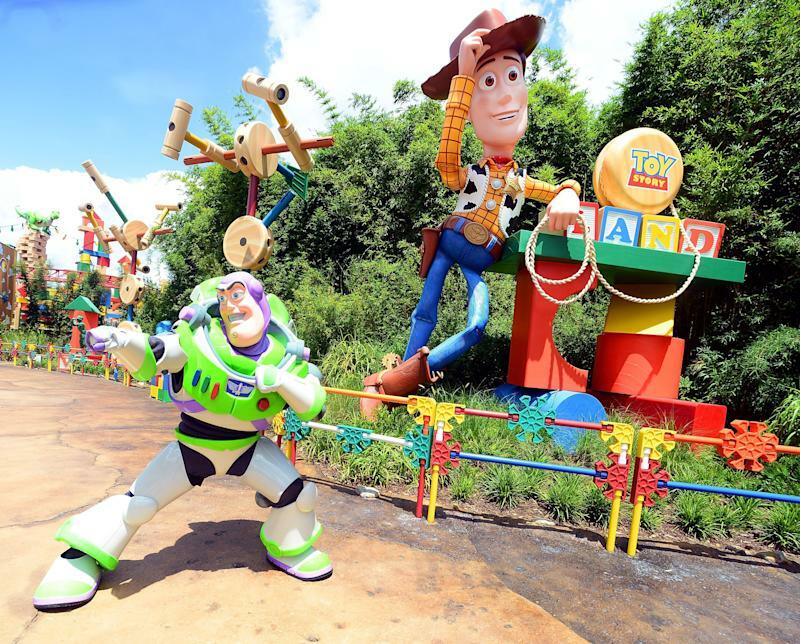 Of course, Woody's bud Buzz Lightyear will also be around to say hi to visitors. Other characters like Jessie and Rex make appearances. 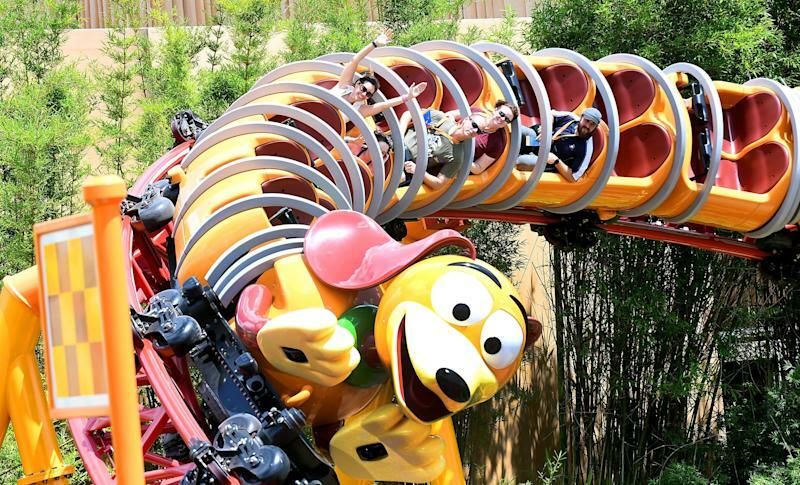 The rides offer a kid's take on Toy Story Land, such as the illustration visitors can see here while boarding a ride. 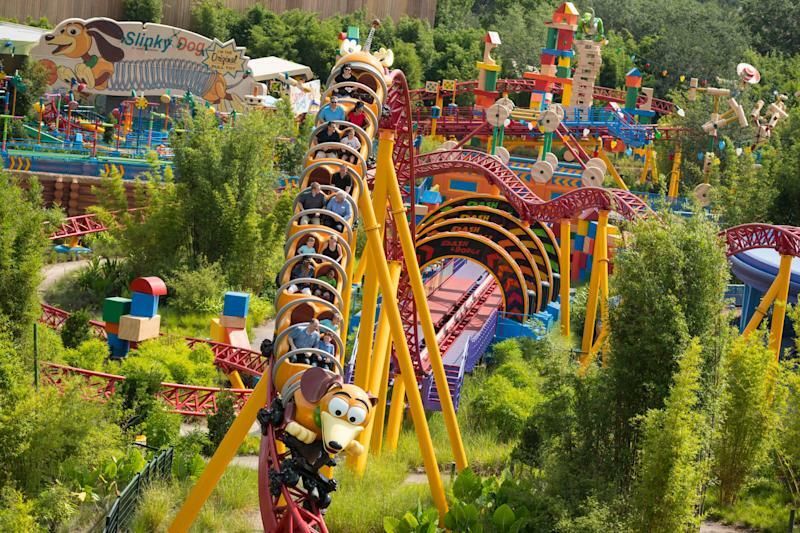 The park area includes a roller-coaster named Slinky Dog Dash inspired by one of the funny characters. 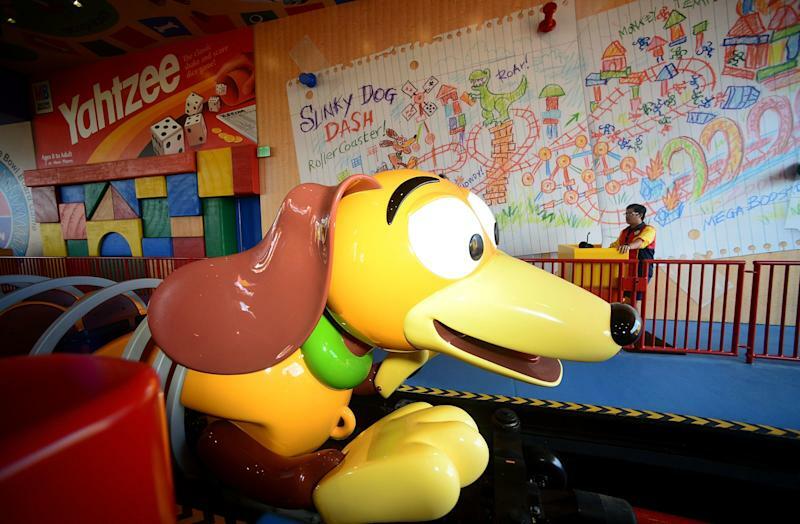 The coaster is one of many rides within the 11-acre toy-filled land. 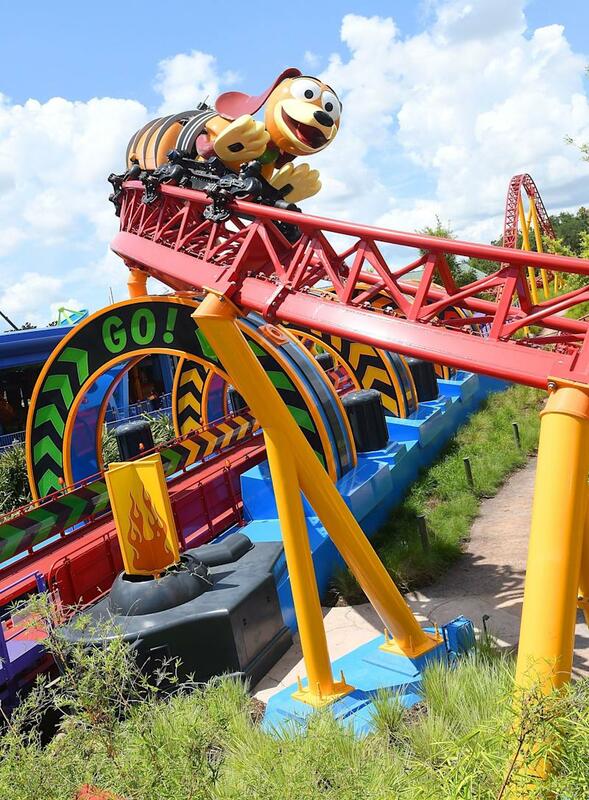 Although it features small drops, the coaster is considered fun for kids and adults. 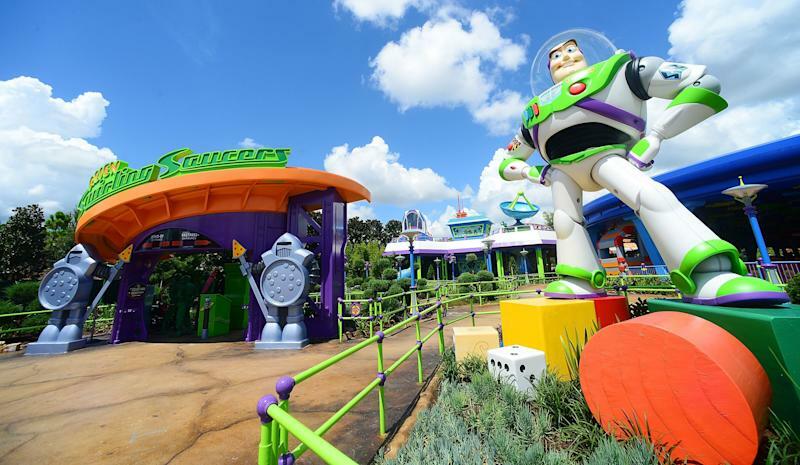 Fans can check out Buzz near the entrance of the Alien Swirling Saucers ride. 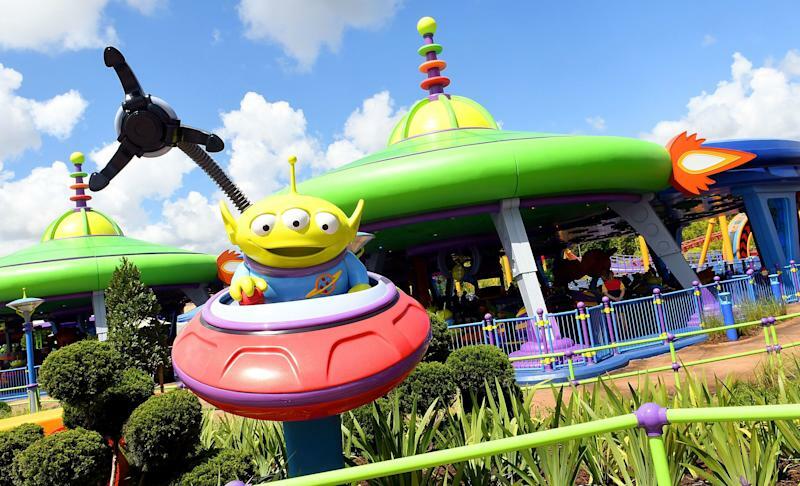 During the ride, the green aliens (pictured here) try to get captured by "the claw." 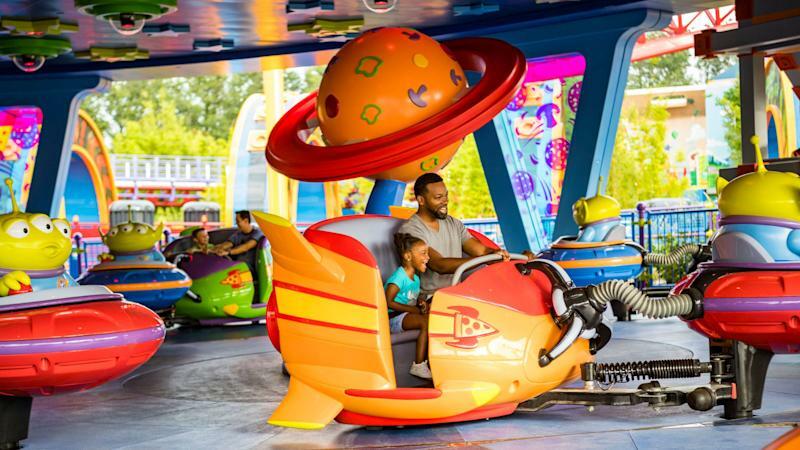 Visitors board toy rockets on the saucers ride. Inspiration for the attraction came from the play set Andy won at Pizza Planet in the film franchise. Woody's Lunch Box looks exactly like that: a lunch box. It offers food and beverages and features common objects (like the Babybel cheese packet) at the size a toy might view them. Giant Christmas lights fill the park and offer light throughout the night. 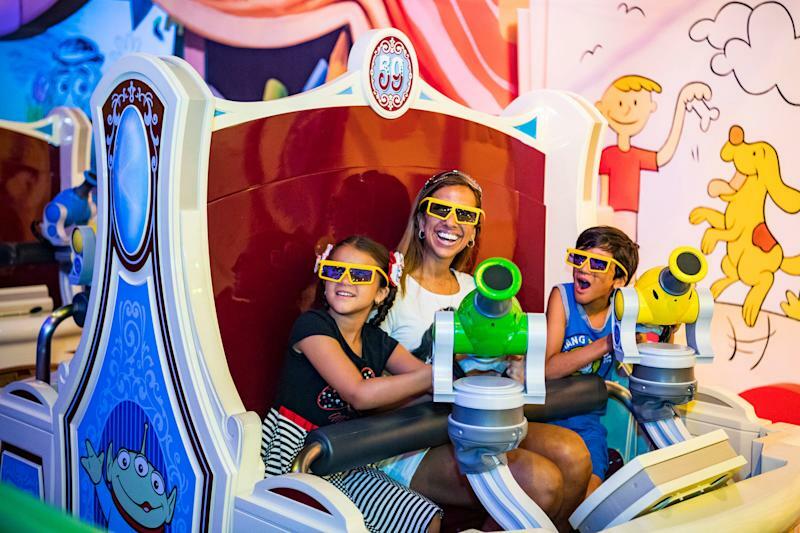 Toy Story Mania is an attraction that allows fans to shoot at moving targets. 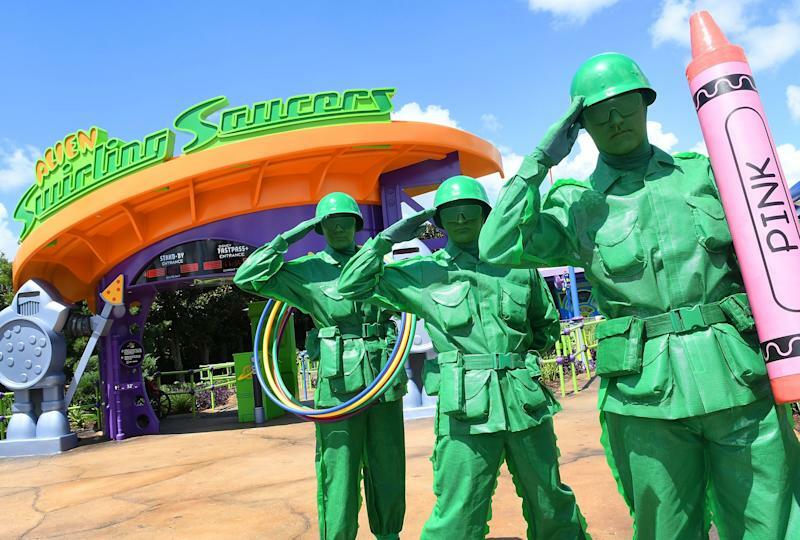 Disney decided to bring the green toy soldiers to life. 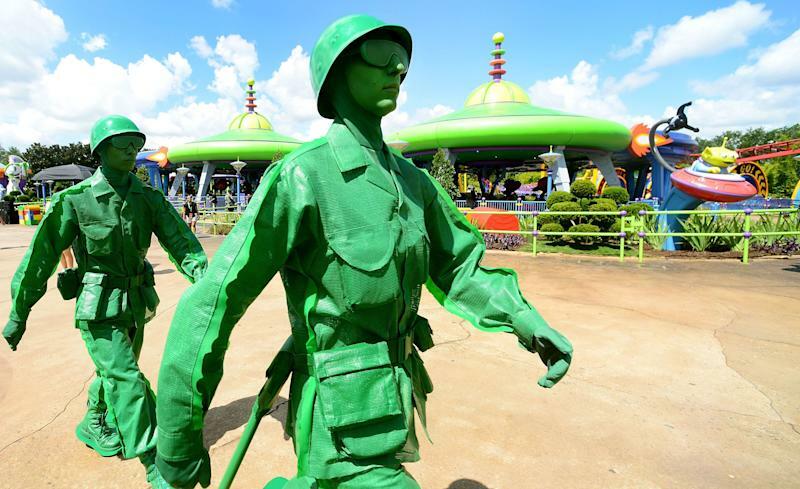 Women will also march alongside the usual green army men from the movies, according to CNN. 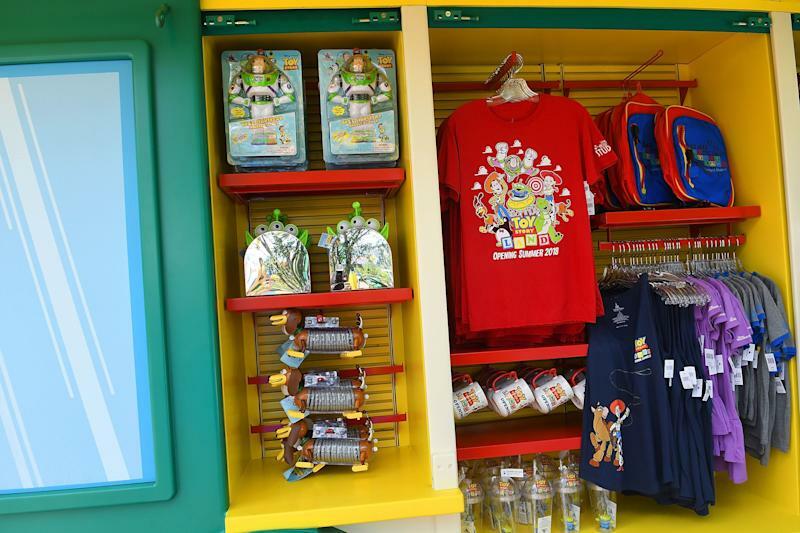 And of course, there's plenty of Disney merchandise available.